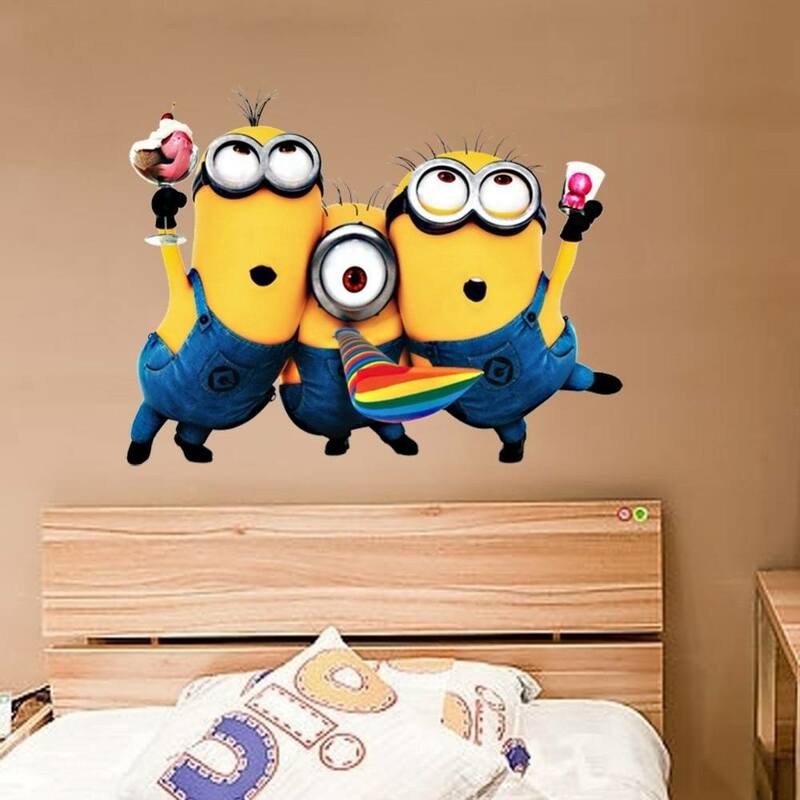 Give your child's room a fun-filled makeover with this Minions Wall Decal. They do make the room look one-of-a-kind. 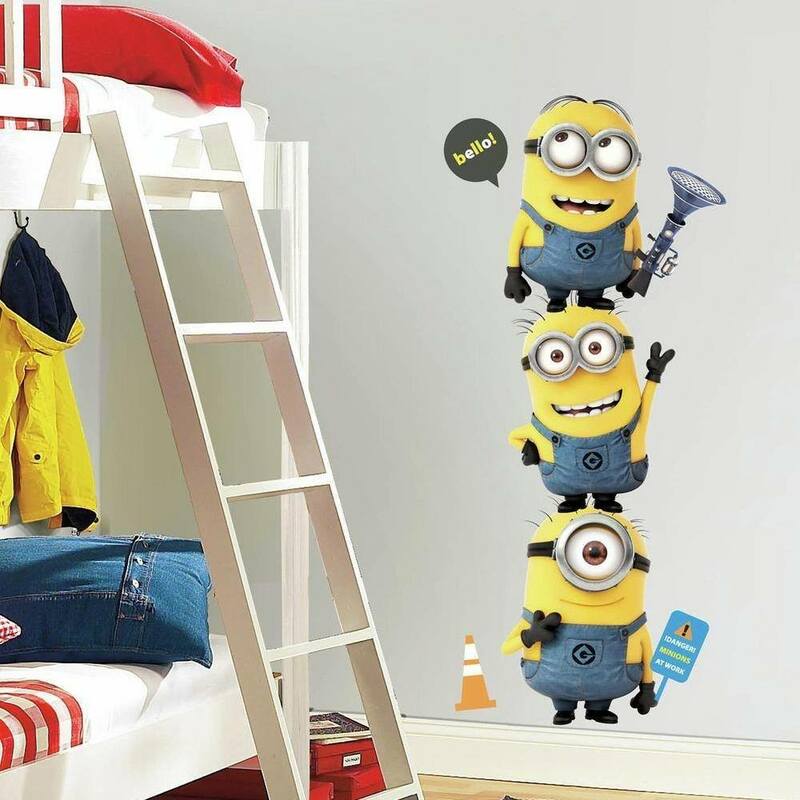 Give your child’s room a fun-filled makeover with this Minions Wall Decal. These giant peel-and-stick wall decals make your child’s wall stand out from the crowd. Additionally, the decals are easy to use at the same time. 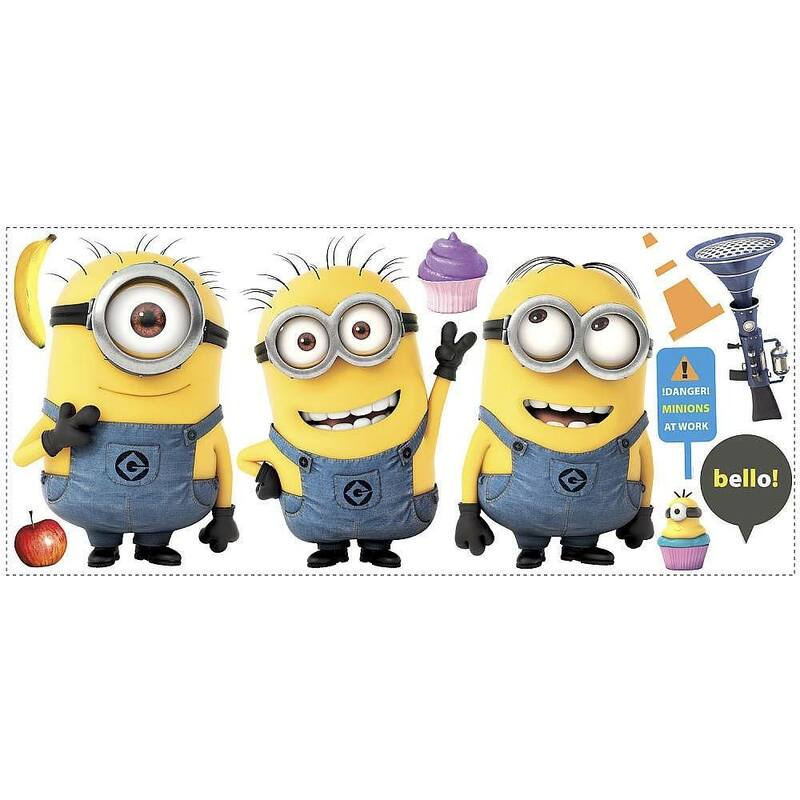 In fact, you can also try using them on doors, frames, wardrobes or anywhere you prefer the minions to be with you. 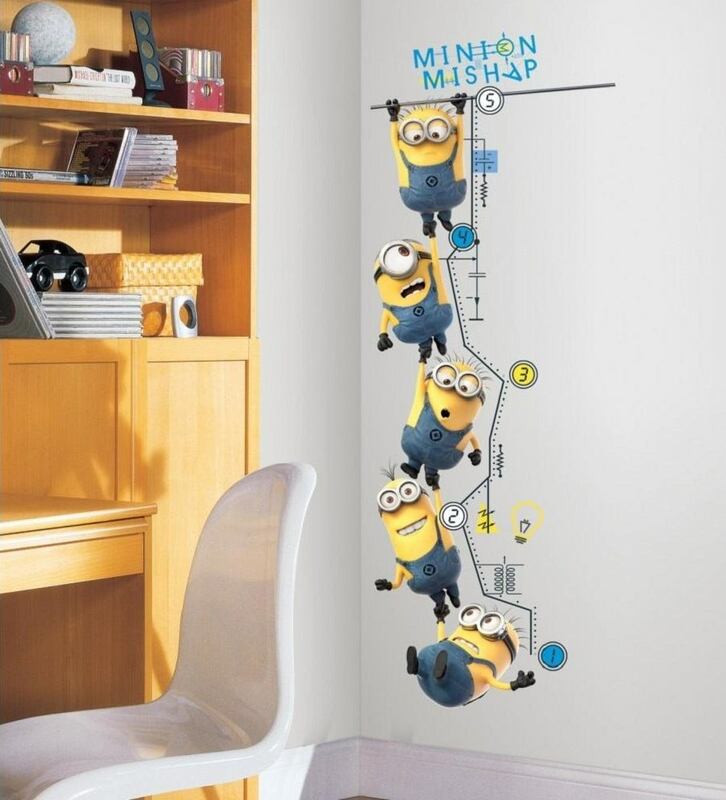 Based on the fun characters of Despicable Me, this wall decal adds humor in a more classic way. As a matter of fact, you can remove the decals just like you would do with a puzzle. 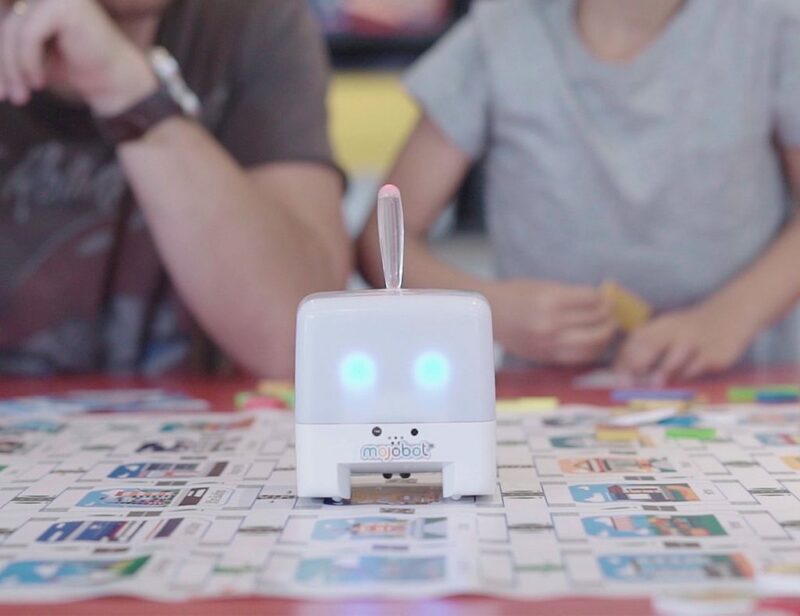 So, the characters can be together or at different positions in the room. Either way, they do make your room look one of a kind. Overall, a perfect way to make your room unique and more minion-like.